We left Los Angeles at just before midnight on Easter; what an auspicious beginning to my first real international mission trip. Thirty hours later we landed in Lilongwe, the capital of Malawi. 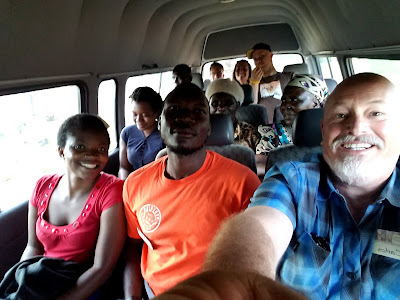 We were greeted warmly by the Reaching the Hungry team led by Wonderful Chibisa. We wasted no time; stopping only for a quick team picture, before setting out to get supplies for our stay. Water, peanut butter, and bread. Unfortunately, we had to go to a second store because the first had run out of the single variety of bread they offer. 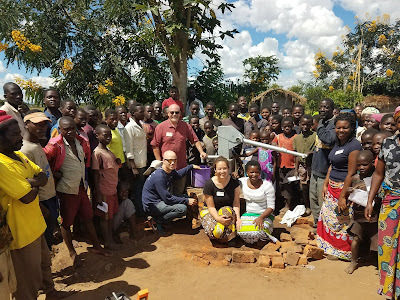 After successfully getting our lunch ingredients for the next few days we went to Mosaic house where a local congressman allowed us to stay because he is very excited about the work that RtH does in Malawi, preaching the Good news of Jesus Christ and installing water wells in poor, rural villages. We unpacked and everyone quickly went to bed despite it being about 1pm pacific time because we were so tired from the long day-plus of travel. Early the next morning we piled into a van piloted by our driver extraordinaire Knocks. We drove over a series of large potholes interspersed with narrow strips of dirt road made of red clay for 45 minutes. When we arrived at the villages the women would greet us with song and dance, jubilant for what we were about to do. Children without shoes would swarm us as we exited the van, many never having seen a white person before, or a van for that matter. Most of us would set to work straight away on constructing the well. 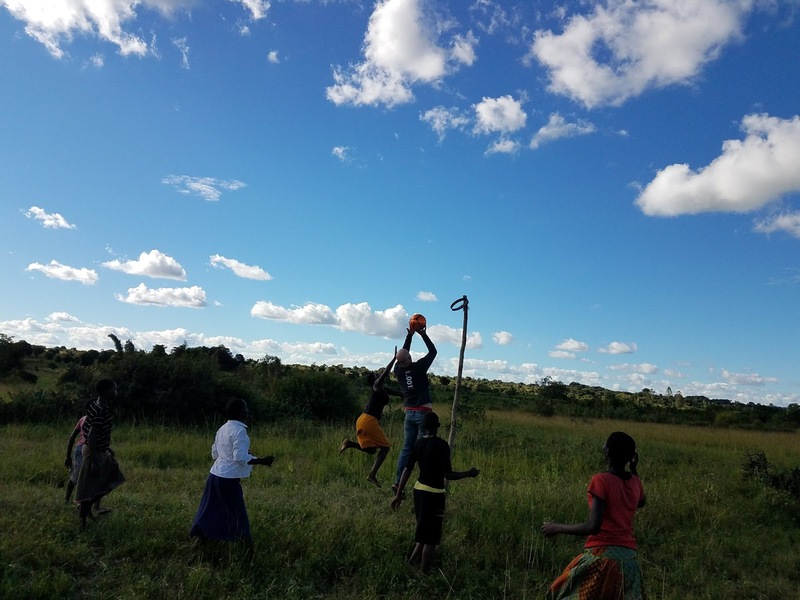 Tabitha or Kate, two of Reaching the Hungry’s Malawian national Missionaries, would split off and entertain the children and women of the village with Bible stories and praise songs. Their singing was melodious background noise as we measured, cut, shoveled and cemented pieces in place. 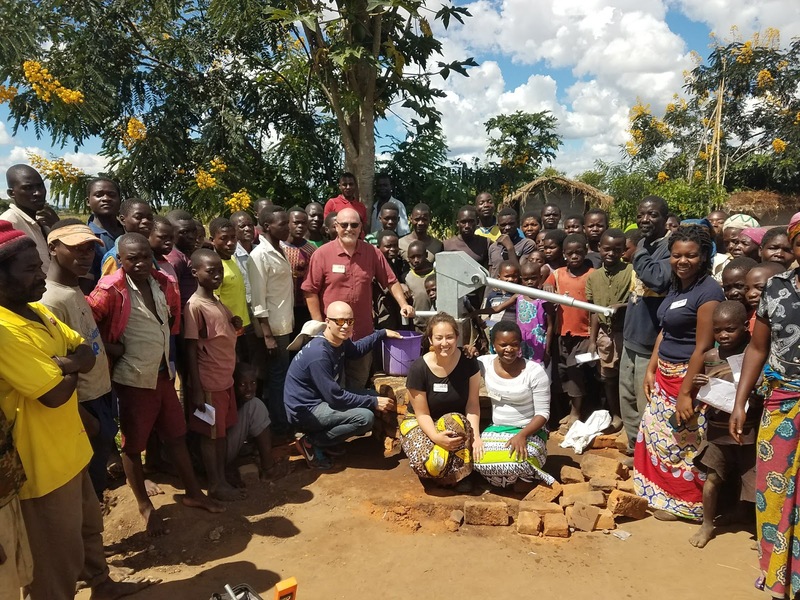 The first day seeing the well come together was nothing short of a miracle, and for the people, it truly was a blessing from God, clean water to drink, something we often take for granted. Once the well was finished we would break to eat local food with the people, and if there was time we would play soccer or Neti-ball with the children while waiting for nightfall. 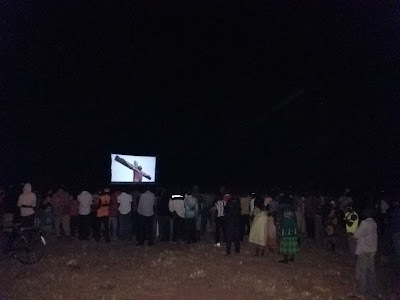 With the sun low on the horizon, we would move to a nearby field where the denizens of three or more nearby villages would congregate waiting for us to show the Jesus film. Once it was dark we would turn on the projector and they would watch the first, and possibly last movie in their lives. Following the life of Jesus as recorded in the Gospel of John, we see the birth, life, death and resurrection of our Lord and Savior Jesus Christ, all narrated in the local language Chichewa. It was like a symphony rising to its crescendo. The labor of the day. The new relationships we had quickly formed. The word we had preached. All culminating in this moment, the moment of choice. With Jesus still being nailed to the cross, the video would pause. One of us would rise, if we had been able to calm our nerves and remain seated, then join Wonderful in the center of a semicircle of Lost Sheep. All eyes fixed on us, we had five minutes to lay out the Gospel and what knowing Jesus had meant for our lives. 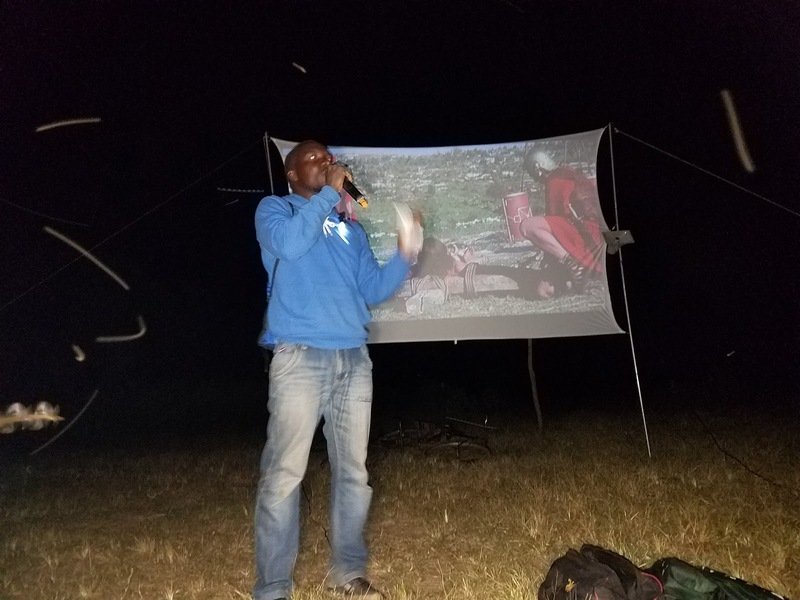 When we finished Wonderful or John, another Malawian missionary team member, would ask the crowd if any there felt Him tugging on their heart. If any there had seen and heard about this Christ and now wanted to invite Him into their hearts forever. Dozens if not hundreds of hands would rise into the darkness. Those who made a decision were led in group prayer. The sound of their voices in unison pledging themselves to Jesus Christ was hauntingly beautiful. By the second or third day, the well construction process had become less magical to us, but had not lost any of its power for the people. We put in six wells in those three days and for hundreds of people provided not only drinking water but pointed them towards the one who can quench their thirst forever. Wonderful, John, Tabitha, Kate, Memory, Knocks, Grace, Zac, Carlos, Eric. 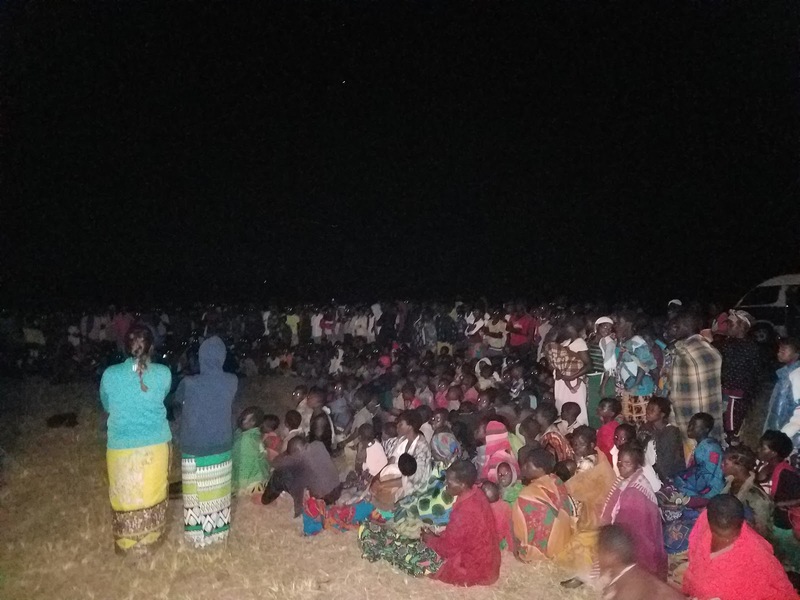 Ten people over two weeks were able to change the lives of hundreds of villagers. Malawi has 16 million people, and we touched the lives of only a fraction. There are many more who need our support. Who need Jesus Christ.